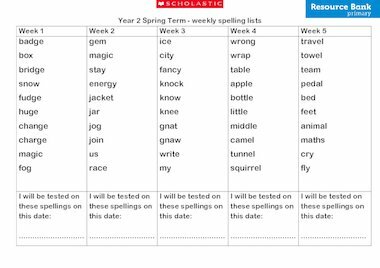 Test your children with a new list of spellings each week for the entire year! Just print out the sheets and cut out the spellings lists for each week. There’s even space to set a deadline for learning the spellings by, making them perfect for homework!